Defying the laws of acoustic engineering, our rigorous sound tuning and design prowess finally arrive at this remarkable piece of innovation — a speaker so small, yet so powerful. 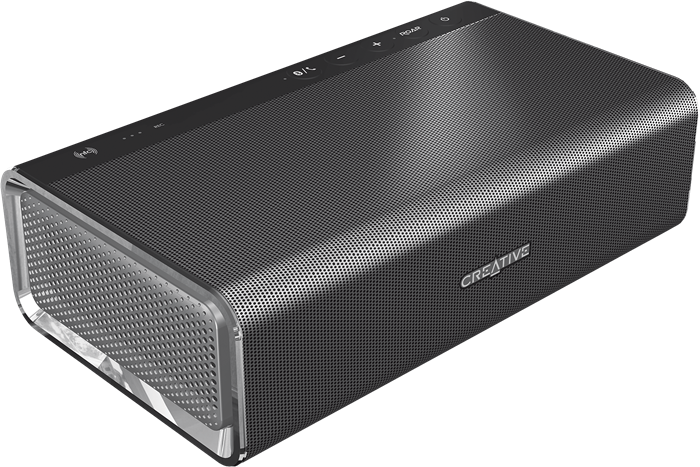 Sound Blaster Roar is a holistic package of sonic fidelity, and high-tech convenience that is built to last. As your portable entertainment, the speaker is crafted and designed to deliver well-balanced audio that fills your space, wherever you go. 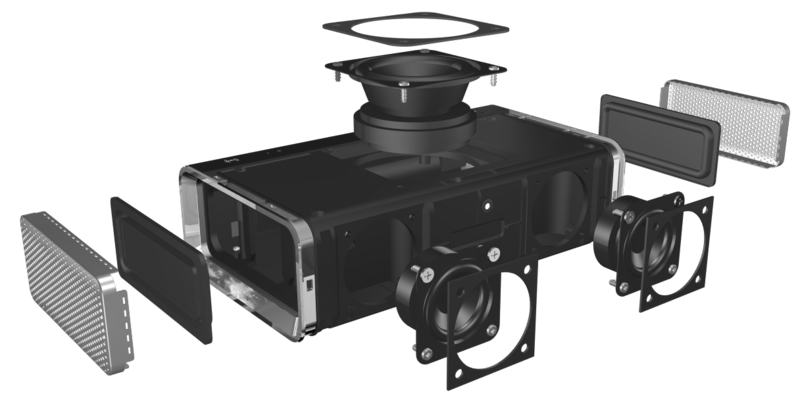 Fitted inside Sound Blaster Roar’s compact enclosure, the bi-amplified five-driver system, including the subwoofer promises to deliver more dynamics, like no other speaker in its class. Whether you are an Android or an iPhone user, the Sound Blaster Roar has got it covered. Offering support for aptX® and AAC, enjoy the wireless bliss of listening to your music with no worries. For a bigger bang for your buck, the Sound Blaster Roar doubles up as a MP3 player, battery bank and a Bluetooth® speakerphone. The Sound Blaster Roar is a masterpiece of audio innovation. It features not one, but two high performance amplifiers, and five speaker drivers (which includes a built-in active subwoofer for kickass thumping bass.) No other battery-powered portable wireless speakers of the same size and price can even come close to the Roar's acclaimed audio performance. The compact speaker powerhouse is designed to punch way above its weight in sheer audio power, filling an entire room with BIG non-sweet spot-dependent sound. It is further enhanced with proprietary ROAR, TeraBass, and MegaStereo technologies. 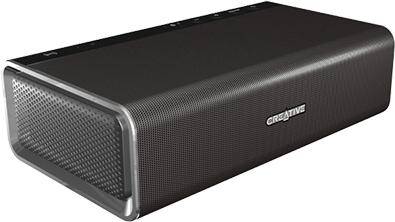 The Sound Blaster Roar is much more than just a Bluetooth speaker that plays powerful audio. We have incorporated many useful features, so that you can enjoy your music at your convenience. The Sound Blaster Roar is compatible with many multimedia devices — your smartphones, tablets, computers, TV, and even your PS4. It is the perfect addition to your digital lifestyle. We razed through countless designs and built several prototypes before we finally achieved this award-winning design - a speaker that plays great audio, houses convenient features and comes with multiple connectivity options, without compromising on its industrial chic look. Reviewers and many users are big fans of the Sound Blaster Roar. Many have described the Sound Blaster Roar as one of the best speakers they've listened to.